UPDATE FROM DIAMOND PASSENGER LIFT CO. 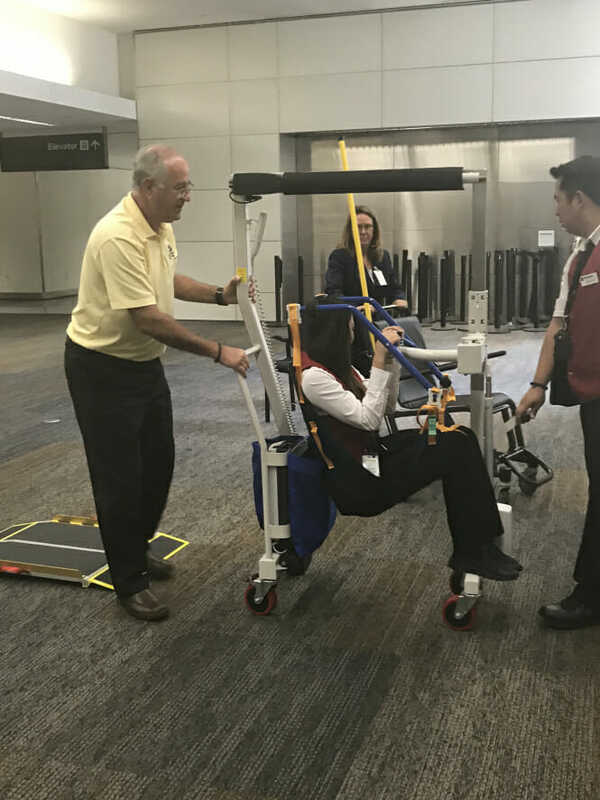 Recently, I traveled through Orlando’s International Airport to Minneapolis-St. Paul where I attended a portion of the Paralyzed Veterans of America National Convention. As a C3 complete quadriplegic, traveling often takes its toll. Due to the limited training of staff and airlines reluctance to understand my type of disability; I am disinclined to travel by airline. 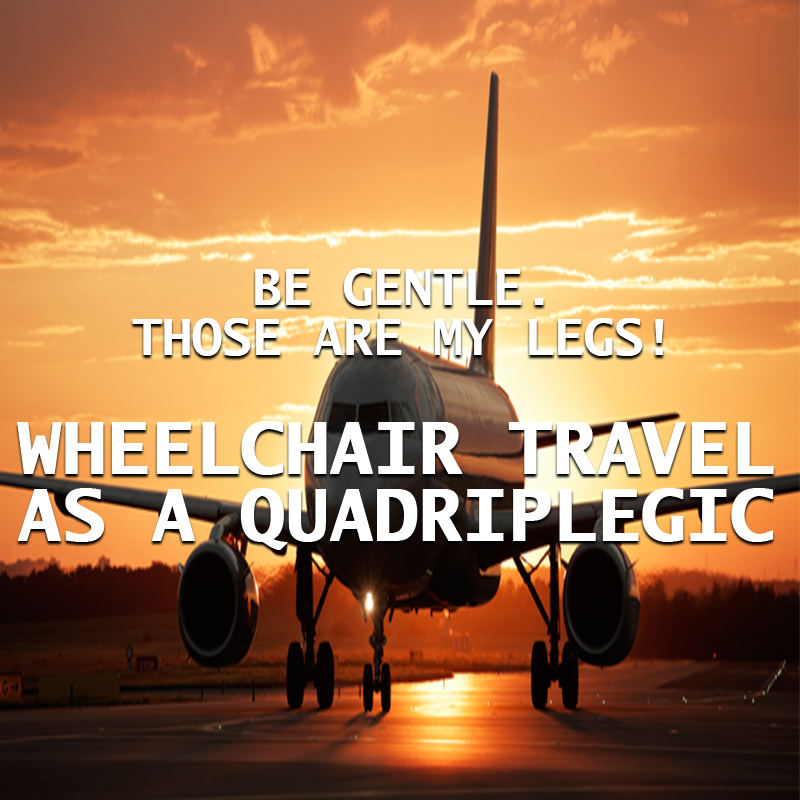 Having only traveled by airline once before (now 6: 2019) as a wheelchair using quadriplegic. …the Orlando airport has ultimately worsened in respect to my needs. Fast-forward to May 2018 and apparently, the Orlando airport has ultimately worsened in respect to my needs. According to the gate agent at the Delta terminal, they could no longer use the lift system due to the “training cost” associated with ensuring their employees were properly certified on the equipment. I used the device two years before but was told not all terminals or airlines have paid for the training. The general manager of Prospect Airport Services explained that Delta’s reasoning was accurate, and they could not even occupy the terminal because of insurance liability. I communicated to the gate agent the liability of manually lifting me and transferring me, is greater than if they were to use the lift. They quickly redirected back to the training cost. Why aren’t the airlines paying to train their employees? They need to know proper techniques to safely transfer customers with disabilities. This is why airline travel as a wheelchair using quadriplegic and other people with disabilities is difficult. Further reducing our ability to live a normal life. Why aren’t the airlines paying to train their employees? 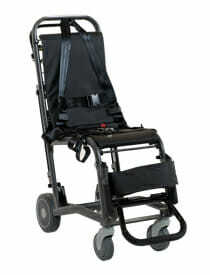 Transferring with inappropriate equipment poses risks to the physical and emotional health of people with disabilities. According to Prospect Airport Services, the training cost $4000 per employee (it’s actually free). Given that one of my tickets was $700; I assume the airlines could afford to provide passengers with dignity, respect, and safe mode of transfer. This is not the case at either the Orlando airport, that had the equipment, or the Minnesota St. Paul airport which did not have the equipment. I made it through my travel with only minor bruises and a small device broken from my wheelchair. I believe that airline employees should have a better understanding to be gentle with this equipment. Ask anyone with paralysis if they do not have their wheelchair it is the same as someone taking their legs away from them. Orlando is home of the 2018 38th annual National Veterans Wheelchair Games with several hundred wheelchair users flying into the Orlando airport. Accommodations will have to be made for these athletes at every gate and in every terminal. Great work has been done with the air access laws, Continuing efforts through air access laws is necessary to eliminate these issues. As a C5 Quad, I am not a fan of air travel either. My flying experiences span from the early 1980s through 2010. I haven’t flown since then, because of, the worsening care with regards to our specific needs. They were more accommodating years ago. Agreed! Just stuffing seats now.